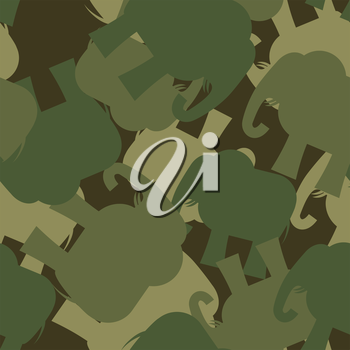 Army Pattern elephant. Camo background of green elephant. Military seamless ornament from animal jungle.